Big digit display. Giant easy to read swivel face great for football, soccer, wrestling, basketball, or any game timing. 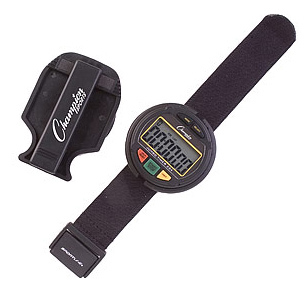 Features: Stopwatch 1/100 second precision; Calendar & time 12/24 hr format; Daily alarm; Hourly chime; LL night light; Wrist lanyard & Clipboard clip.